Blogging on food can be a great fun and it can really drive a good amount of customers if you own a restaurant or cafe. You can promote the recipe of a dish and its benefits related to customers. You can really convert your readers to food lovers of your dishes that you provide at your restaurant or cafe. 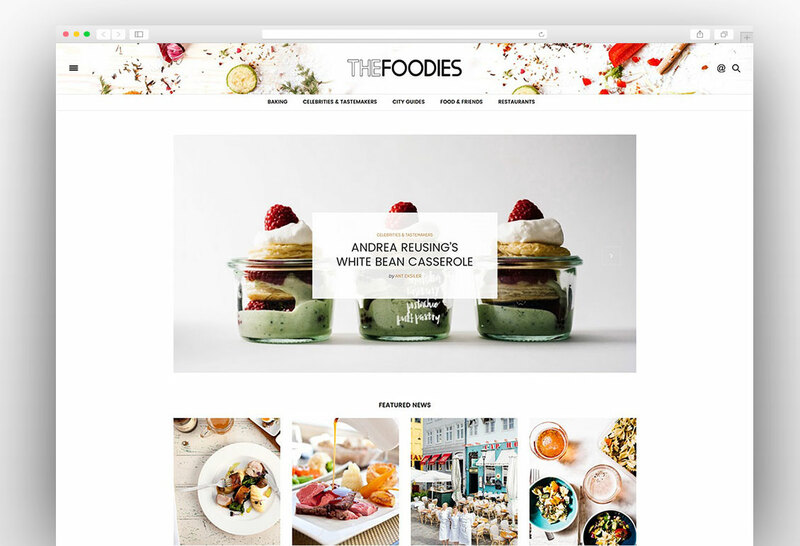 These beautiful WordPress blog themes are specially made for the foodies and chefs so that they can create spice with their words on the internet. All of these WordPress food themes are mobile friendly and they look and work amazingly on all the browsers. All the themes have the compatibility with any of the online food ordering plugins to make it a full-fledged online business. If you don’t have your own restaurant or cafe even then you can use these themes to create a blog to share your love for the food. You can review different recipes, food packages, and deals. 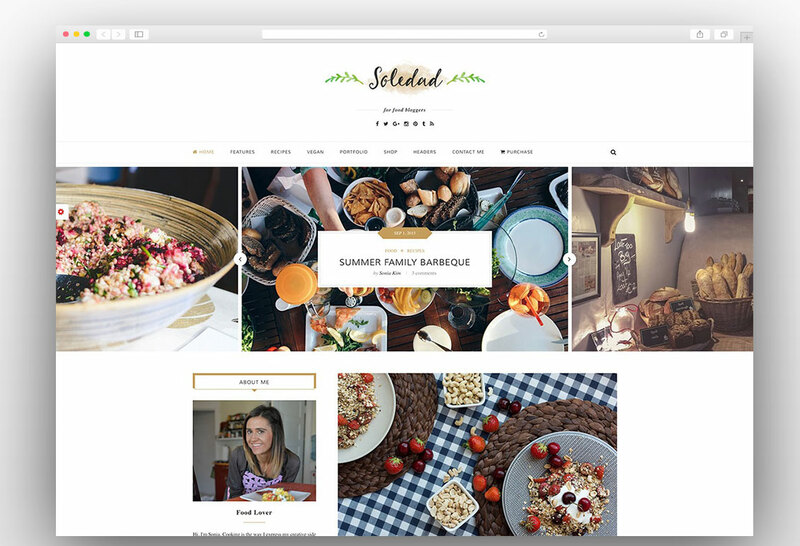 Soledad is a stunning WordPress theme and it is fully responsive and mobile friendly. It is compatible with all mobile devices and all the browsers. It is enabled with the rich features making it an easier choice for the users. The theme has full customization options at the backend where you can manage each and every aspect of this beautiful theme. The theme has four different layouts for the homepage and you can choose any of them that best meets your requirements. All the colors can be easily modified from the theme options panel to match the color of your logo. 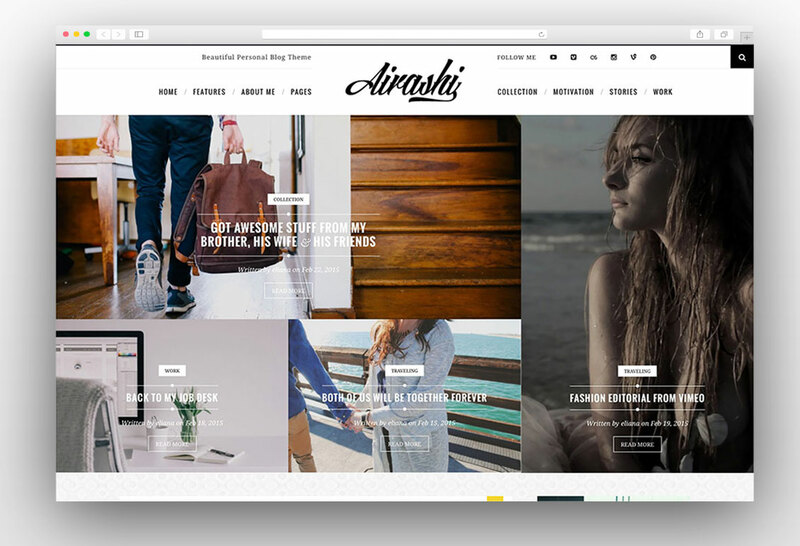 You don’t need the expertise to use this rich WordPress theme as all the features have been made so convenient to use. 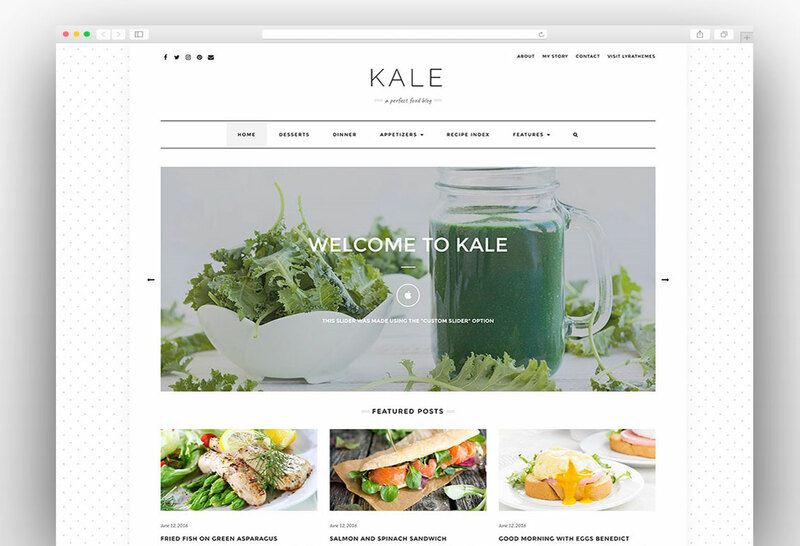 Kale WordPress theme is specially designed for people who want to create a stunning food blog. 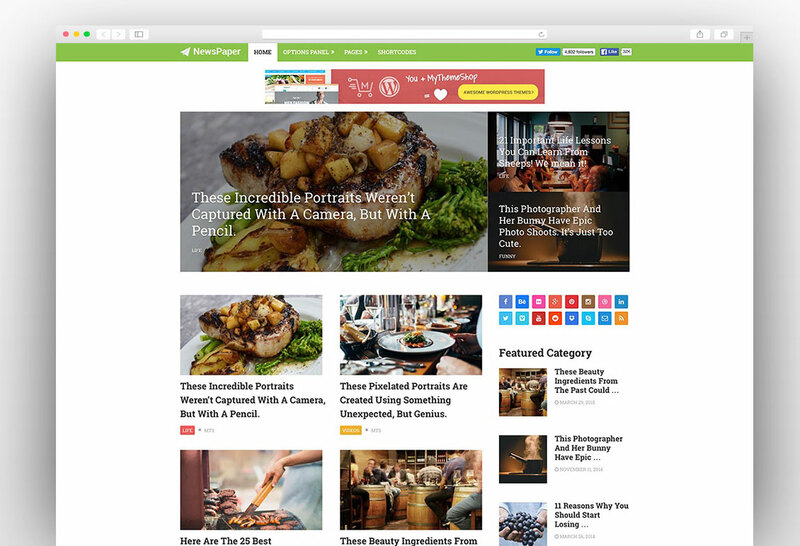 The amazing design and layout will make your food blog attractive and the readers would love to explore more on your website. 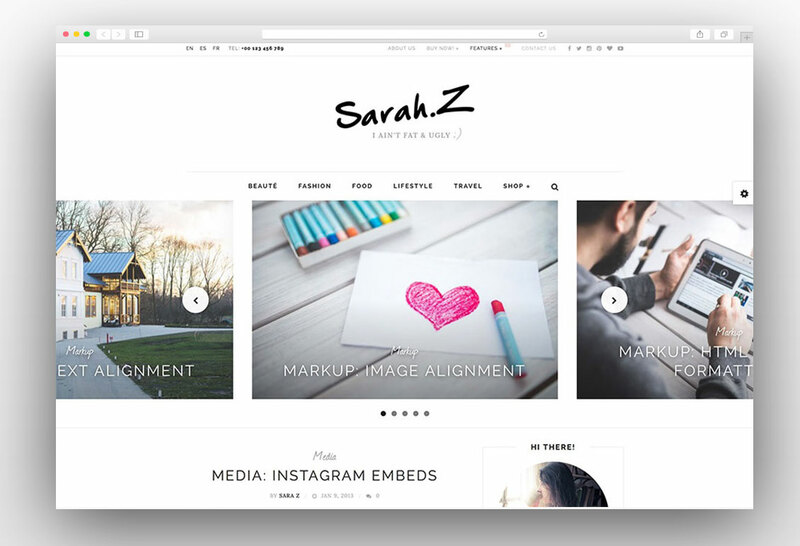 This lightweight theme has great typography and it really stands out from the crowd. 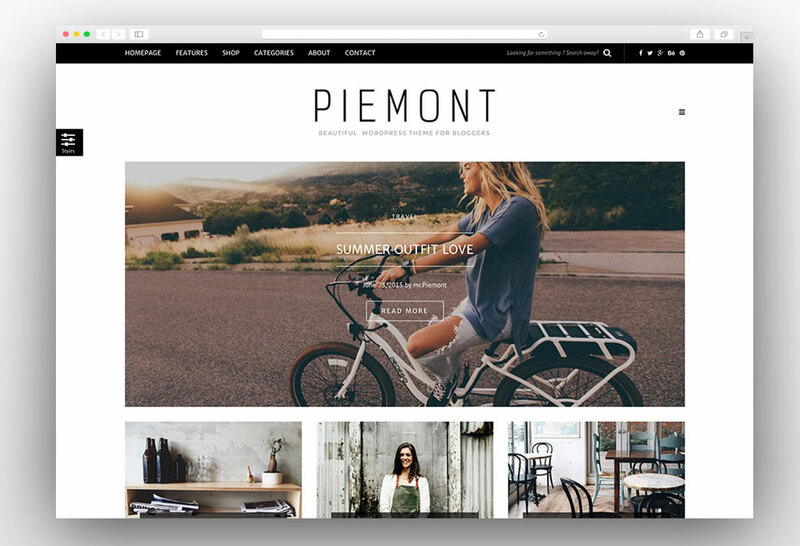 Some other features of the theme included responsive design, one-click demo install, video post format, category sidebar, MailChimp integration, Instagram carousel, fancy scrollbar, about me widget and last but not the least the Woo Commerce compatibility. 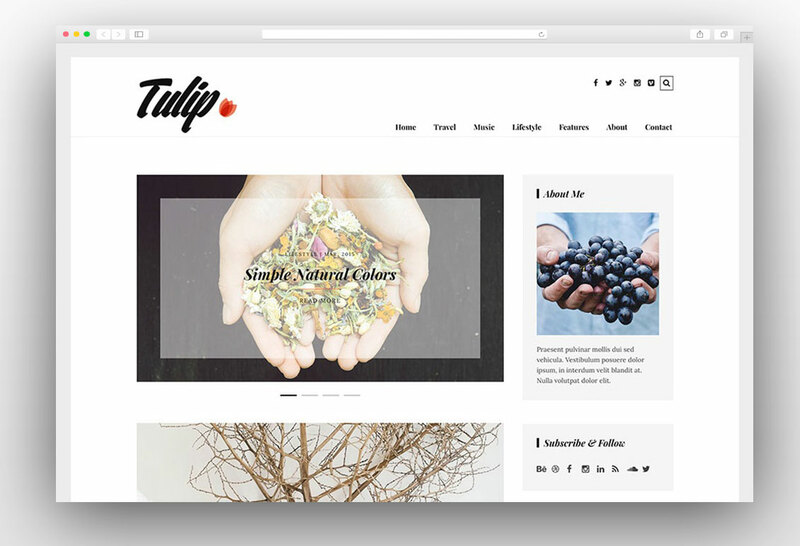 Gullvy is a stylish and flexible WordPress theme that gives you the power to create an amazing personal blog. Its great design gives you the freedom to focus more on the content and stop worrying about the look of your blog because of its stunning design. 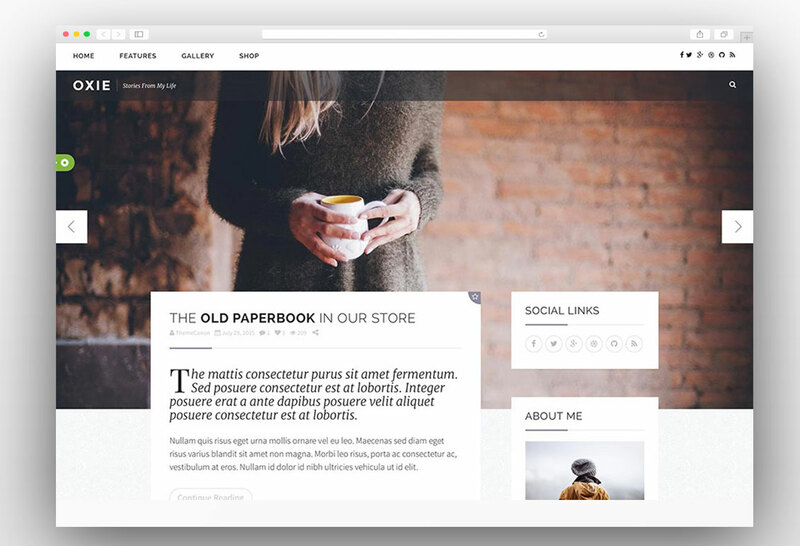 Gullvy comes with four post formats and a visual layout builder to help you make your own design from the scratch. 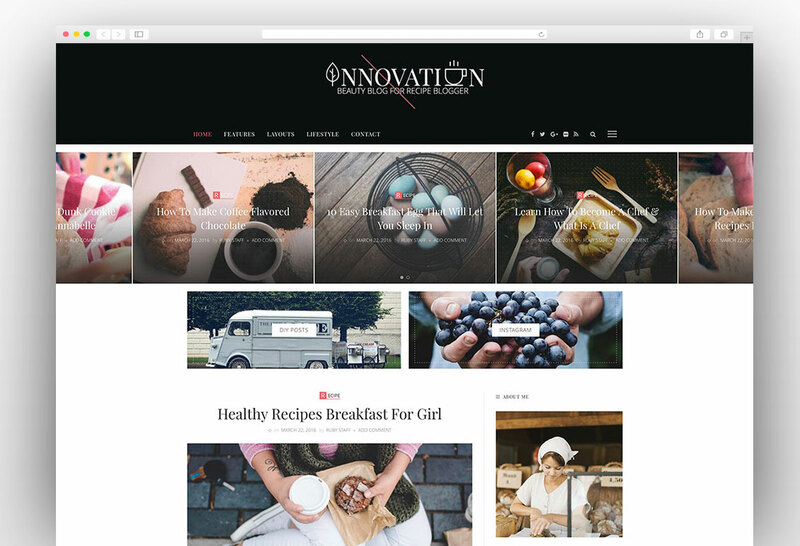 Some other prominent features of this amazing food blog WordPress theme are powerful theme options panel, layout builder, front page slider, blog infinity scrolling, Google fonts, custom post widget, Instagram post slider, translation supported, RTL support and fully responsive design. 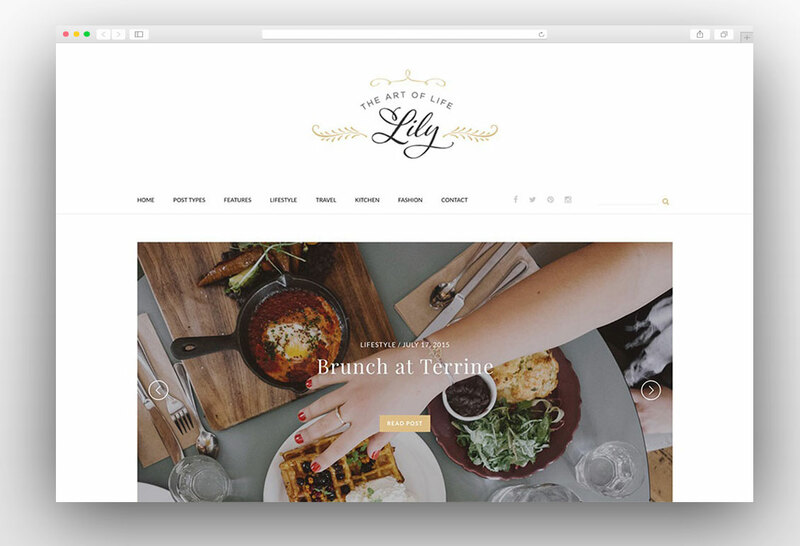 Impress your audience with the distinctive design and typography of Lily WordPress theme. 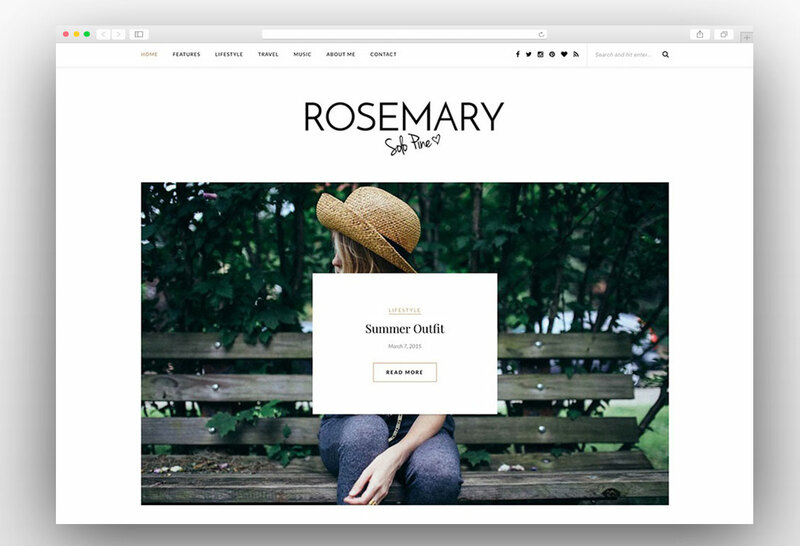 The Lily is the perfect theme for any sort of blog and it comes with seven homepage layouts leaving an open choice for you to select any of the design that best meets your needs. 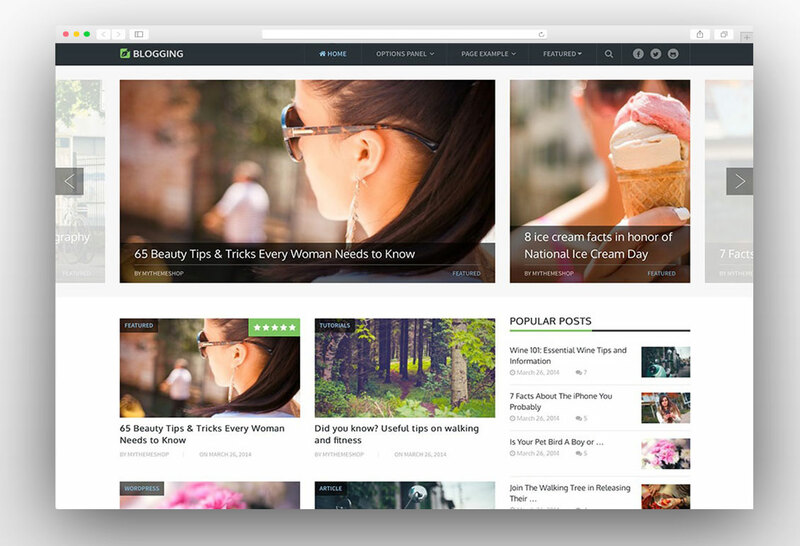 The fully responsive blog theme comes with more than 600 Google fonts to make the typography of your blog stunning. It is compatible with all handheld devices and other devices of all screen sizes. Demo data is included with the theme that can be installed by a single click from the options panel. The theme includes a comprehensive documentation to get started and customize the theme effortlessly. 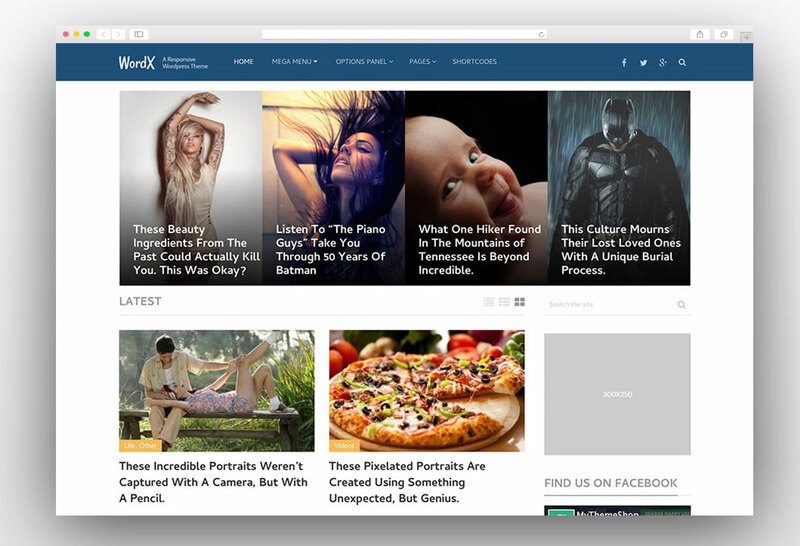 Newspaper is an elegant theme designed by MyThemeShop especially for content-rich websites. Its design is simple and there are nine different layouts for the homepage. One of its demos is for food blogs that look stunning and food lovers would love to read about their food needs and adventures from the blogger. The theme is super-fast loading, responsive and translation ready. The theme is search engine optimization friendly and it will give your blog a better spot on search engines as search engine optimization is very easy on this theme. The theme has powerful options panel and it comes with a useful bundle of plugins. Sage is powerful WordPress theme built specially for restaurants, cafes, chefs and food bloggers. The theme comes with 40 homepage layouts which can be installed with one-click. 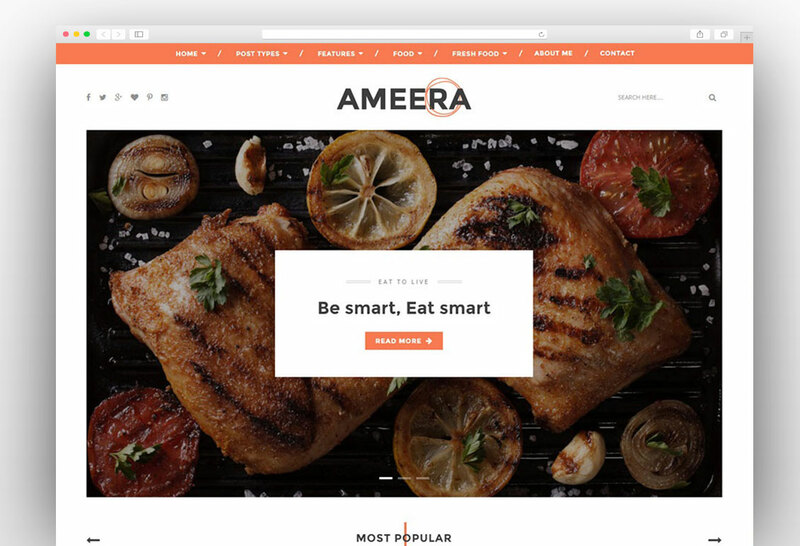 The demos include the layout for many food niches making it a perfect choice for food industries to make their business websites. The package includes some of the premium plugins like Visual Composer, drag and drop mega menu builder and Woo commerce integration. 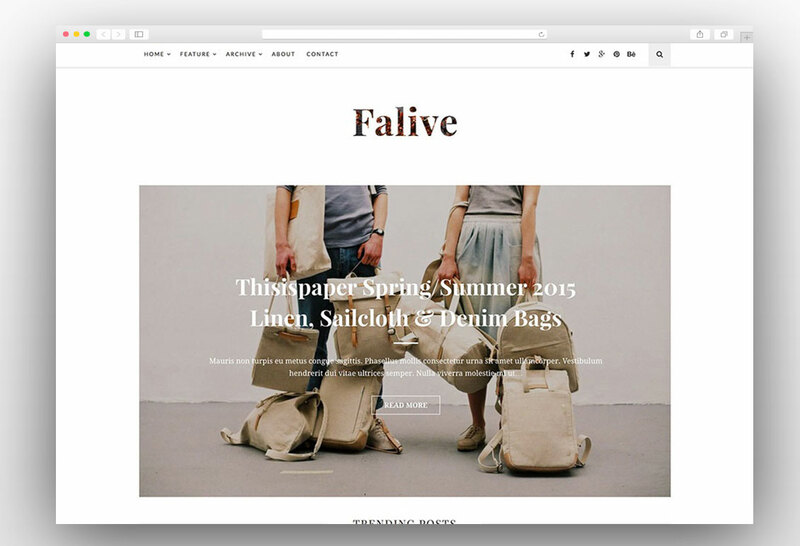 There are two header layouts for the theme with five different header behaviors. The design is fully responsive and its clean code makes it load faster making it perfect for the search engine optimization purpose. 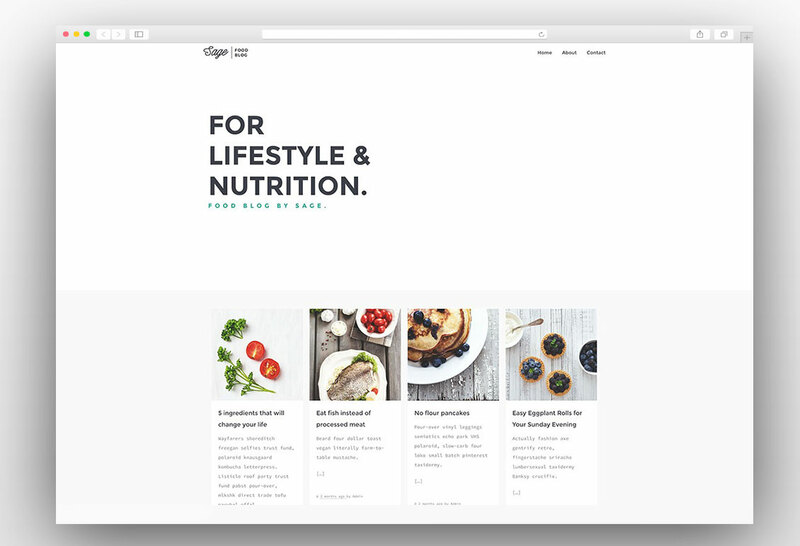 Paperio is clean WordPress theme with an impressive design for the restaurants and food bloggers. It is fully responsive and fast loading WordPress theme making it a very good choice for the search engine optimization objectives. The theme comes with the premade layouts and you can select your favorite one and install with just a single click. The theme includes the separate demo content for each layout so that you can get started quickly with your favorite layout. You can customize the theme effortlessly with the live theme customizer which includes a number of options to edit the theme. 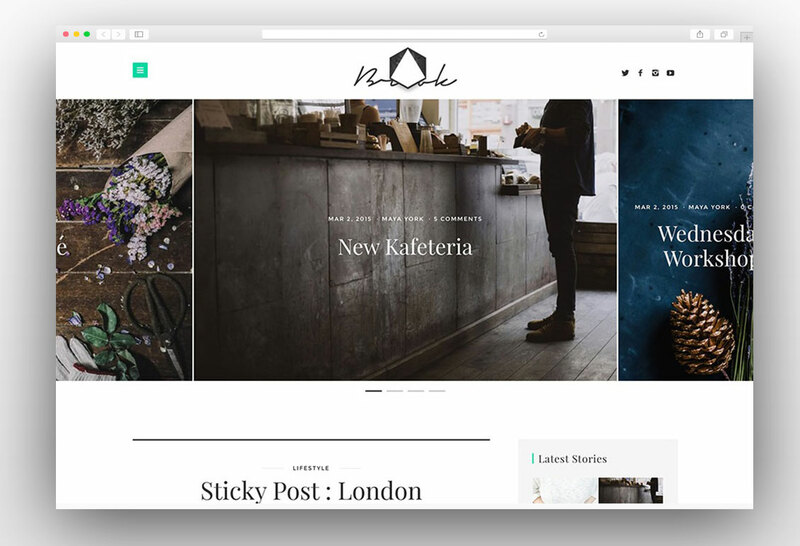 Voux is the stylish, lightweight and professional magazine WordPress theme which can satisfy the needs of the food bloggers. The theme has rich options panel from you can control all the aspects of the theme and customize. Multiple header layouts are included in the theme and you can choose the one which best meets your needs. There are so many pre-made layouts that they would definitely exceed your needs. 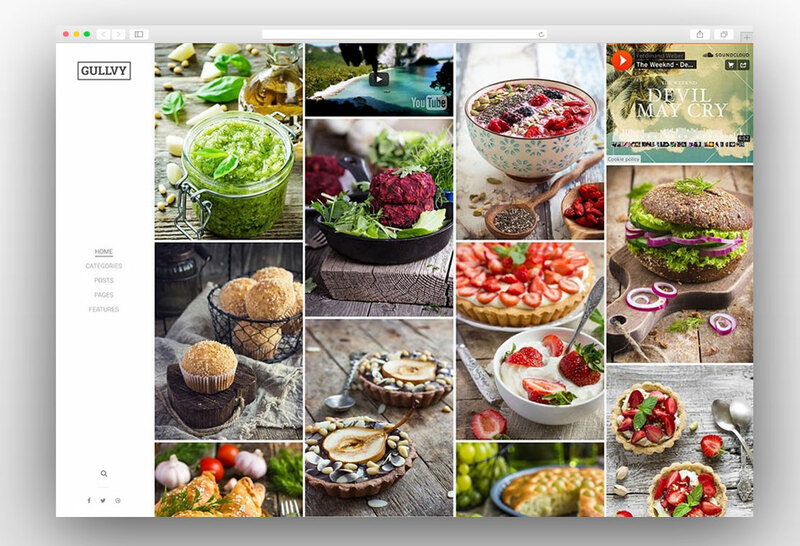 The theme is powered by premium plugins like visual composer to open the window of opportunities for you to make custom layouts for your food blog or restaurant website. 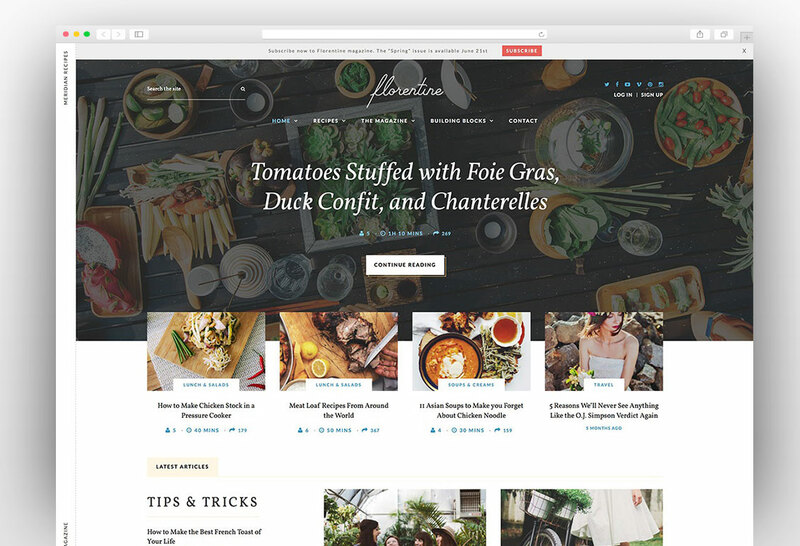 Meridian is beautiful and fully responsive WordPress theme designed exclusively for food blogs, restaurants, and chefs. 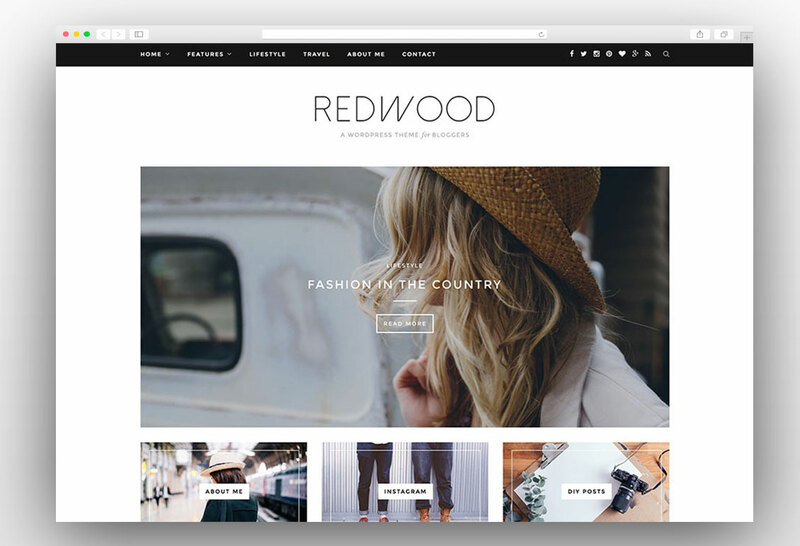 This theme has nineteen different modules with 4 different header layouts. 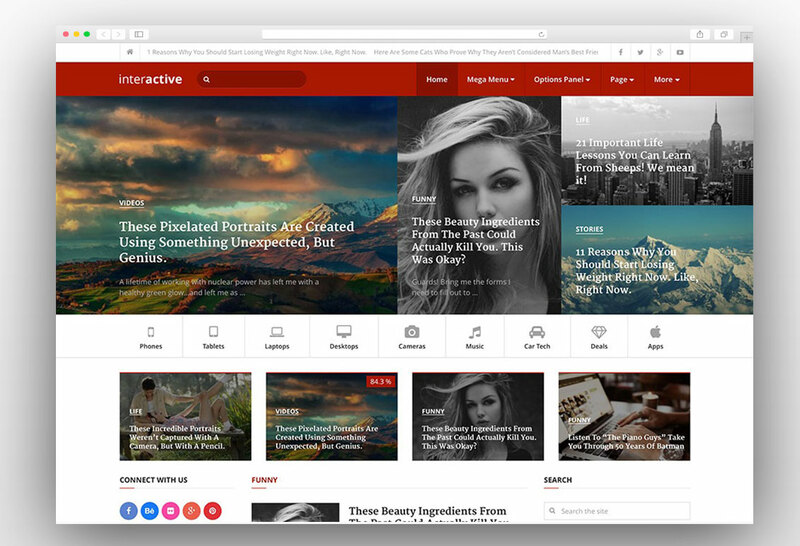 Some other features of the theme include custom social media integration, custom about me widget, theme options panel, newsletter popup modal, distraction-free cooking mode and ratings and bookmarks system. Awesome Collection! I liked all the themes you shared. I would like to suggest one more blog WordPress theme known as CrazyBlog – Start A Blog or Magazine for Adsense or Affiliate Business.